A delicious gift for expressing your best wishes. 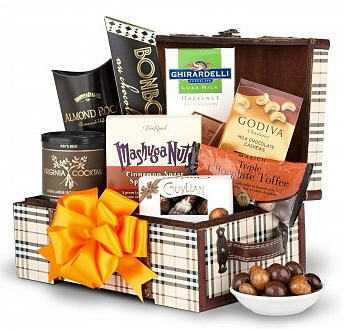 Give a gift that always pleases with this delicious collection of sweet and savory treats packaged in a handsome keepsake chest. 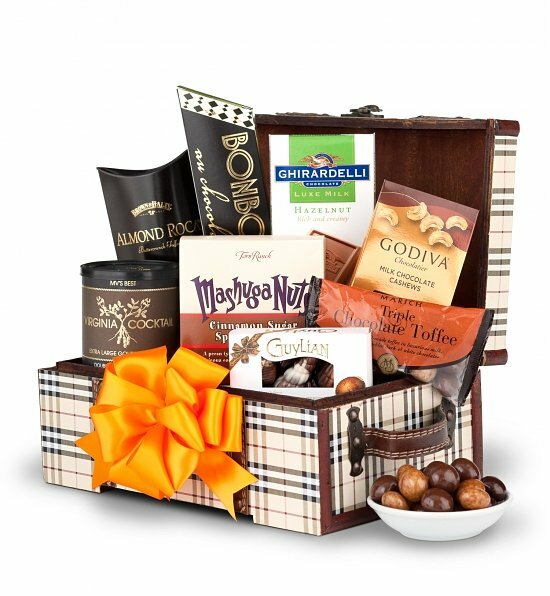 The brass-detailed, plaid chest opens to reveal Milk Chocolate Jumbo Peanuts, Guylian Seashell Truffles, Almond Roca, Ghirardelli Luxe Hazelnut Chocolate, Triple Chocolate Toffee, and more. Perfect for indulging the individual or a group, this hand-selected variety is a memorable gift for any special occasion. Measures 11" x 7" x 6".